Let the 2017 Electric Tram season begin. 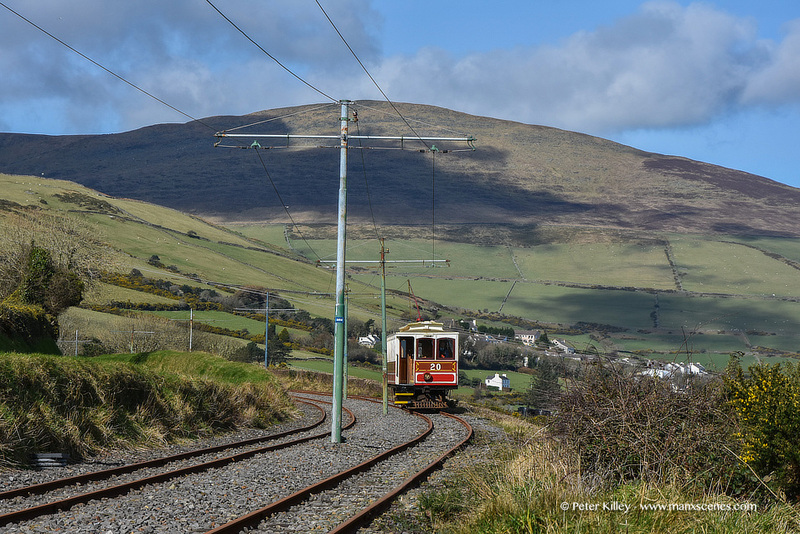 Taken yesterday between Glen Mona and Ballellin Halt, with a back drop of North Barrule. 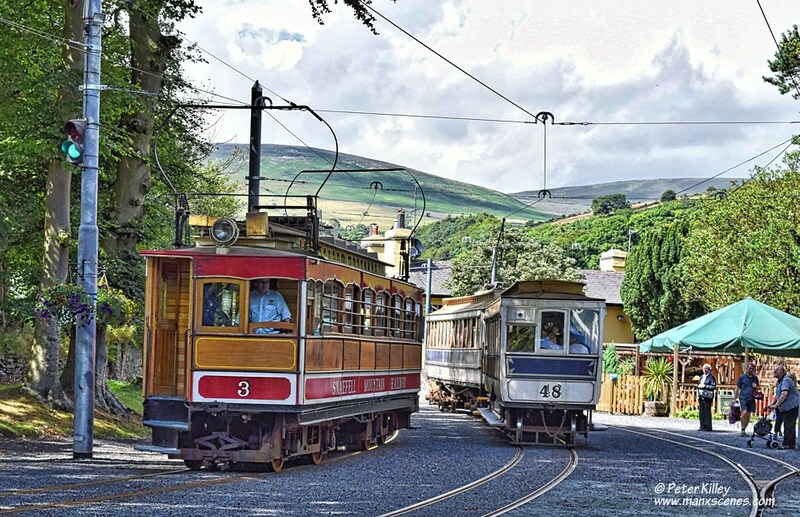 Seen here at the Bungalow at the foot of Snaefell Mountain. 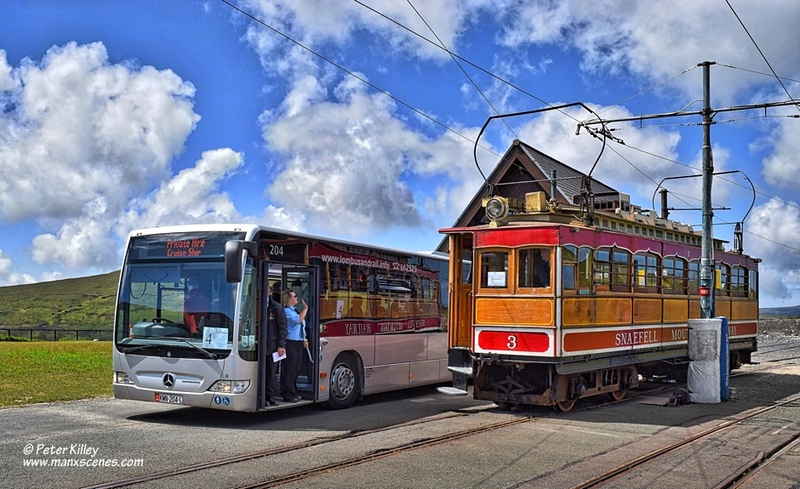 And what a day for the passengers of the Visiting Cruise Ship ‘Adonia’ to go up to the top of Snaefell Mountain. 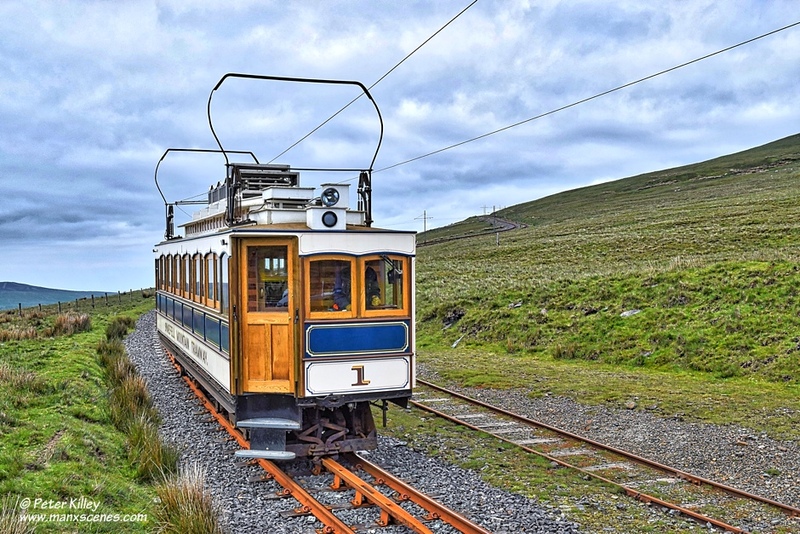 Snaefell Mountain Tramway, Electric Tram No 1 heading down Snaefell Mountain to the Bungalow this afternoon.